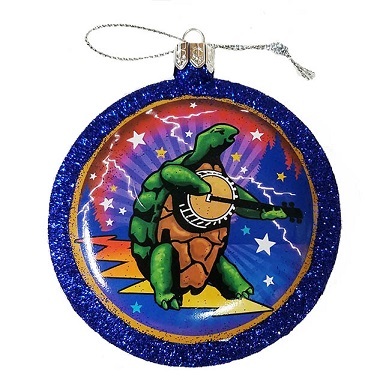 This Grateful Dead holiday ornament features dancing terrapin turtles on both sides. It measures approximately 3 1/2" round, and 3/4" thick. 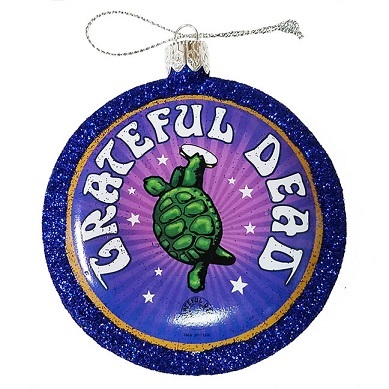 Would look great on the Christmas tree or Hanukkah bush! Officially licensed Grateful Dead merchandise.